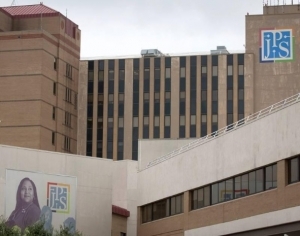 Fort Worth (WBAP/KLIF) – There is newly uncovered information that doesn’t bode well for Fort Worth’s JPS Hospital when it comes to a recent elevator accident involving a hospital worker. In the ongoing investigation into problems with hospital elevators, the Fort Worth Star-Telegram says a review of records show that JPS officials were advised in 2017 to fully upgrade the elevator that crushed a nurse earlier this year. The hospital instead focused on work — scheduled to start next month — on two other elevators, that officials say are used more frequently. JPS is referring questions about elevator safety to elevator consulting firm Lerch Bates — which suggested the upgrade. It’s the same elevator that crushed JPS nurse Carren Stratford, (pictured below) between two floors on January 20, causing severe injuries. Stratford was injured when the elevator continued to rise as she tried to step into the elevator. She lost her footing and was crushed between the 10th and 11th floors. She suffered brain named among other injuries. Officials with JPS Hospital in Fort Worth release photo of Carren Stratford, the nurse who was crushed in that tragic elevator accident last month.